The decor for this wedding featured very neutral tones for tablecloths and chiavari chairs with ivory, beige, andd champagne being the primary colors. 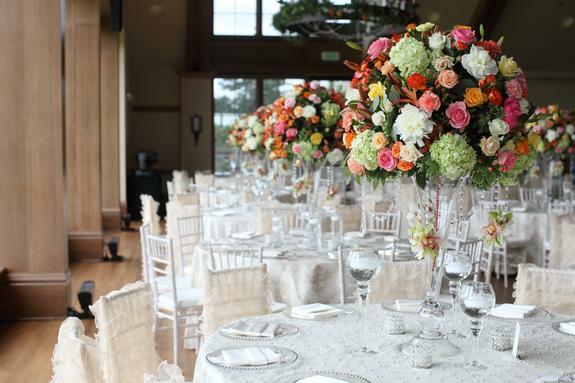 The colorful floral arrangements added a pop of color and really stood out in the ballroom. Wedding Cake and Popcorn Bar: Gateaux, Inc.